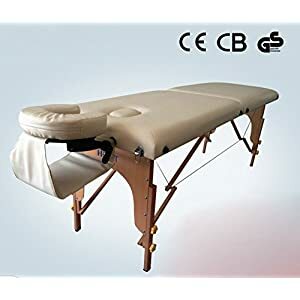 ✮4 DEEP-KNEADING NODES: Deep-Kneading Nodes which help to relax and relieve muscle pain & tightness. 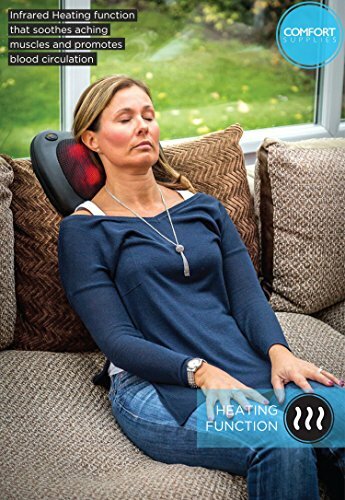 ✮ HEATING FUNCTION: Infrared Heating function that soothes aching muscles and promotes blood circulation. 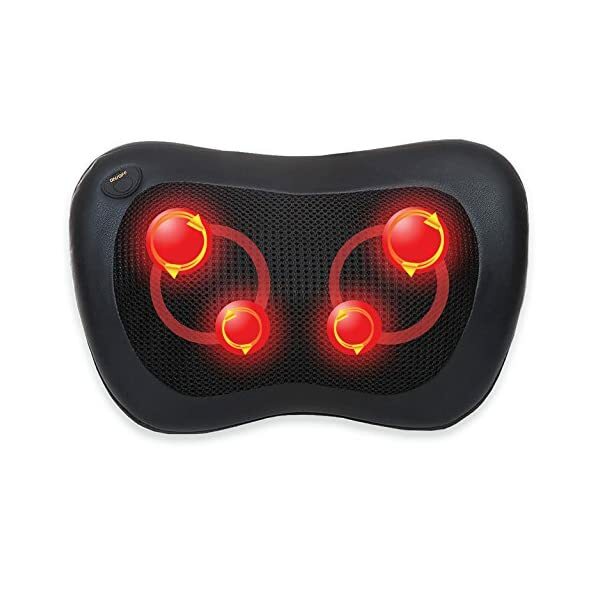 ✮ DUAL DIRECTION: Clockwise & Counterclockwise Rotating Nodes which offer a complete Shiatsu massage experience. 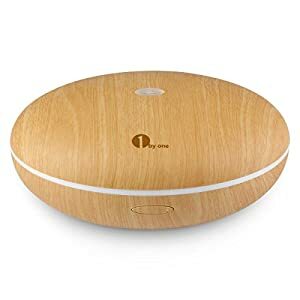 Too busy for the spa? 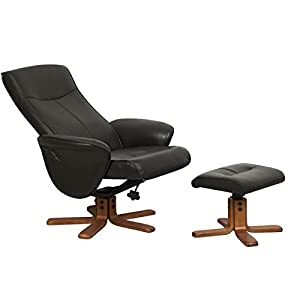 No worries, we have it covered. 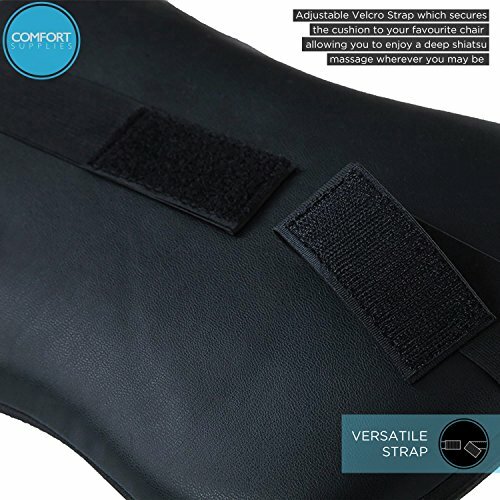 With the Comfort Supplies Premium Shiatsu Massage Cushion you can get a deep, relaxing massage whilst at home, in the office, or even in your car! 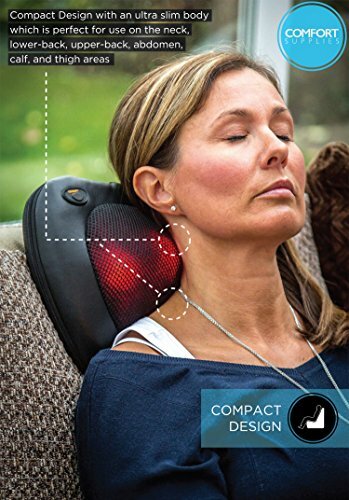 The ergonomic design targets acupuncture points in the neck, lower and upper back, which helps to relieve aches, knots, tension and stress. 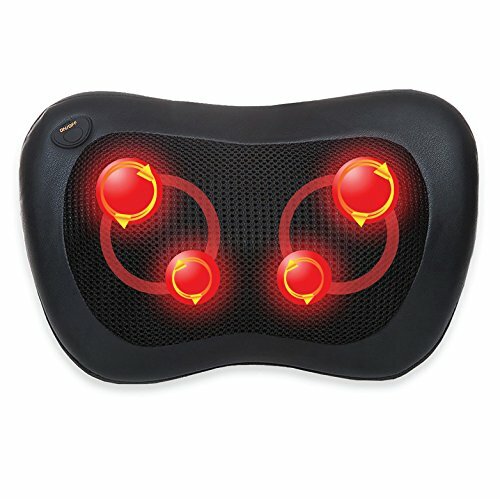 The 4 Deep-Kneading Massage Nodes automatically change direction after one minute of use, this ensures a complete Shiatsu Massage experience. 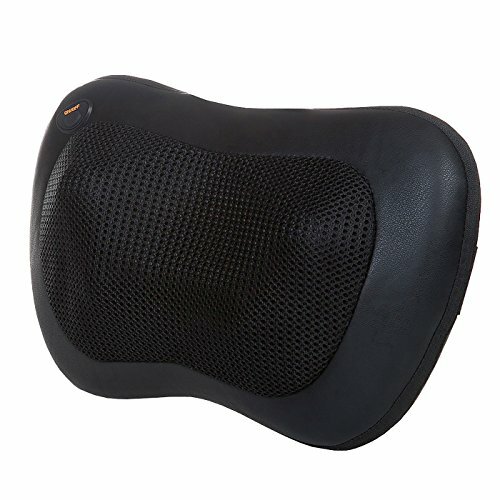 With the no-fuss adjustable straps, you can secure the Shiatsu Massage Cushion to almost any chair. 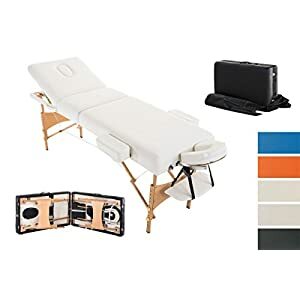 The ultra compact body makes the shiatsu back massager extremely portable and easy to store until it’s time for a massage session. 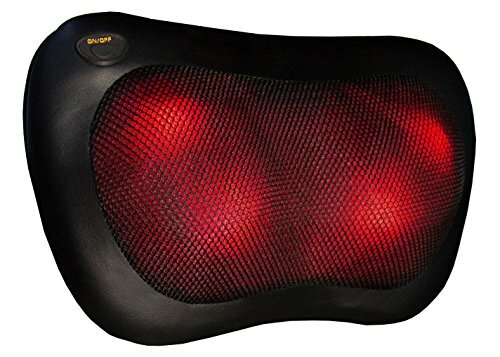 The infrared heating function helps soothe muscle aches and promotes blood circulation. 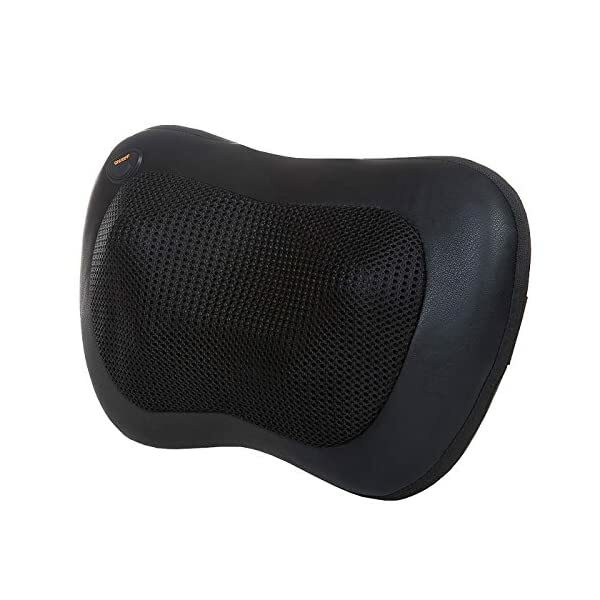 The Comfort Supplies Premium Shiatsu Massage Pillow is equipped with an Overheat Protection Feature and is programmed to automatically shut-off after 15 minutes of use to ensure safety. 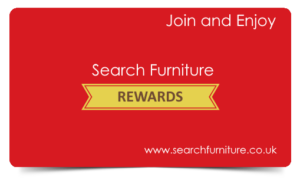 The cushion comes with a UK certified mains power adapter and an in car cigarette lighter adapter for when you are on the go! 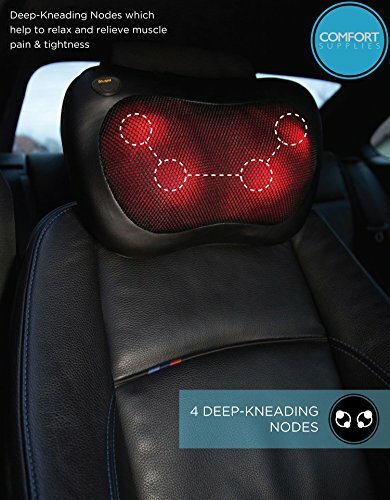 For safety reasons, DO NOT operate the Massage Pillow whilst driving. 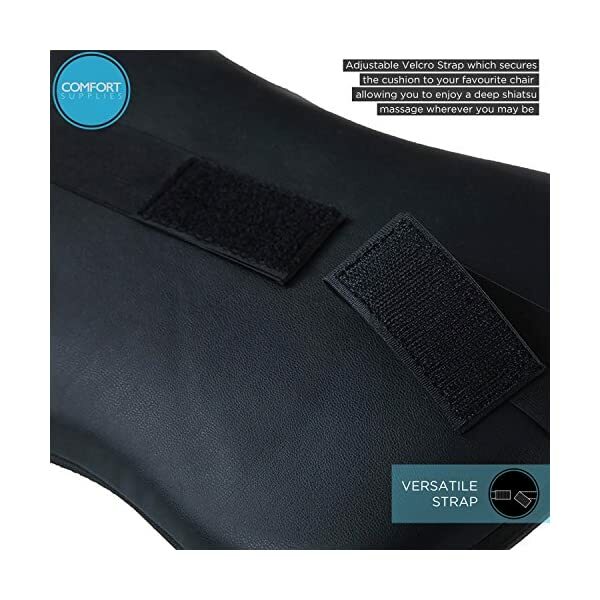 ✮ VERSATILE STRAP: Adjustable Velcro Strap which secures the cushion to your favourite chair allowing you to enjoy a deep shiatsu massage wherever you may be. 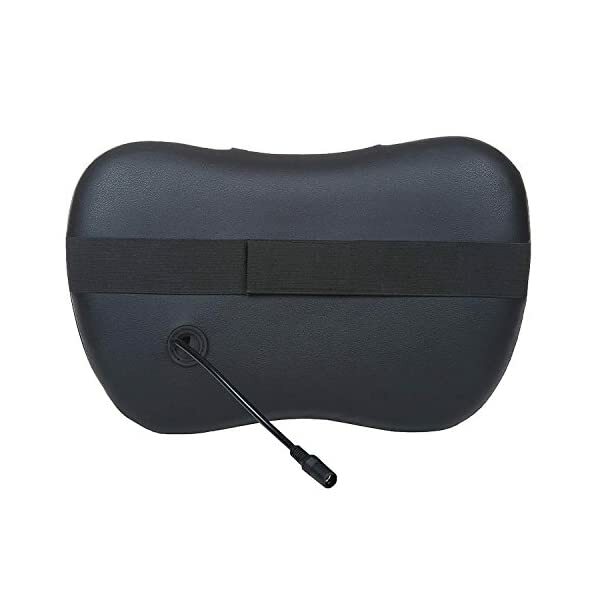 ✮ COMPACT & PORTABLE DESIGN: Compact design with an ultra slim body which is perfect for use on the neck, lower-back, upper-back, abdomen, calf, and thigh areas. 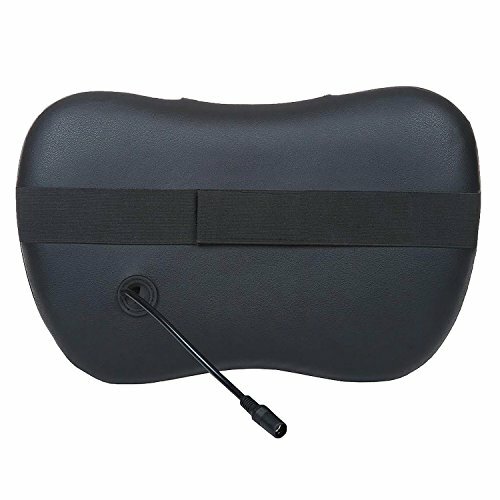 The cushion comes complete with a UK certified mains power adapter and a FREE in car adapter for when you’re on the go!